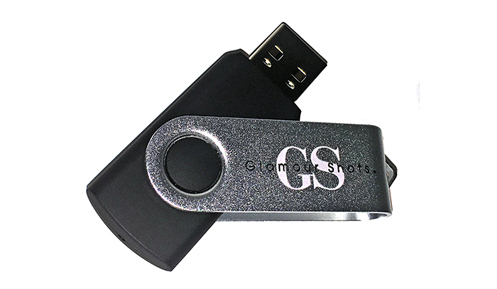 USB drives are the easiest way to take digital images away from your photo session. Share your Glamour Shots images on social media or keep them for yourself. Drives are available in black with a silver swivel cover and hold up to 4GB.